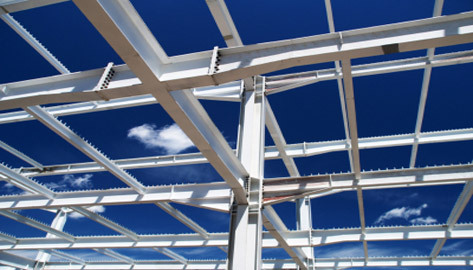 This building technique provides you with a “skeleton” of a structure where horizontal and vertical beams made from steel compose an outline of a building. This innovative concept made the construction of skyscrapers possible, beginning with the Shrewsbury in England which was built in 1797. This structure housed iron columns and beams, which led to the development of the modern steel frame. Providing support and a platform to lay walls,ceilings, and floors on, steel framess are essential to any buildings of large scales. Our Weekly Steel Framing Specials!